The vegetable garden is still looking relatively good; cosmos blooms are just about hanging on, nasturtiums are brighter than ever, lots of tall yellow flowers have grown from the green manure mix. Autumn-sown broad beans, onions and garlic are all putting on lots of new growth. But mushrooms are the stars of the show and there’s a profusion at the base of the dead sycamore tree. I don’t know what they are but they look good and are surely NOT for eating. 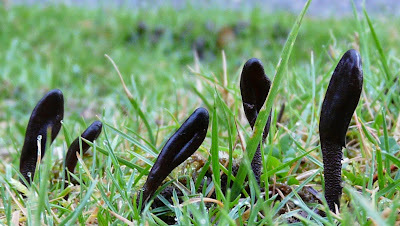 On the front lawn are many different kinds of waxcaps plus two strange-looking types of club fungus. 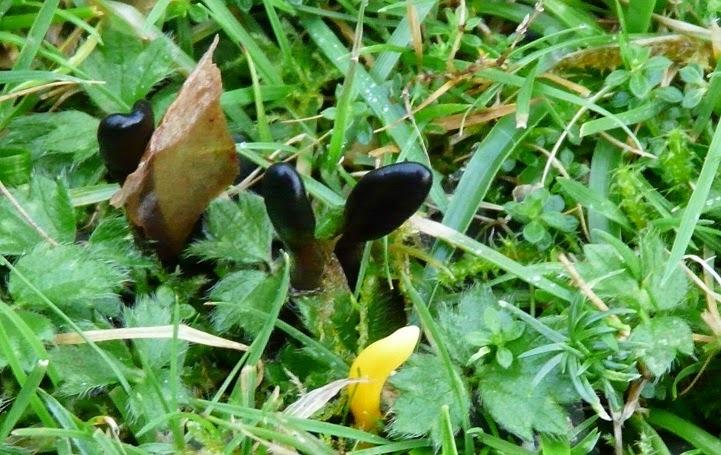 At first I thought the black one was ‘dead man’s fingers’ but my ID guide says they grow on wood. 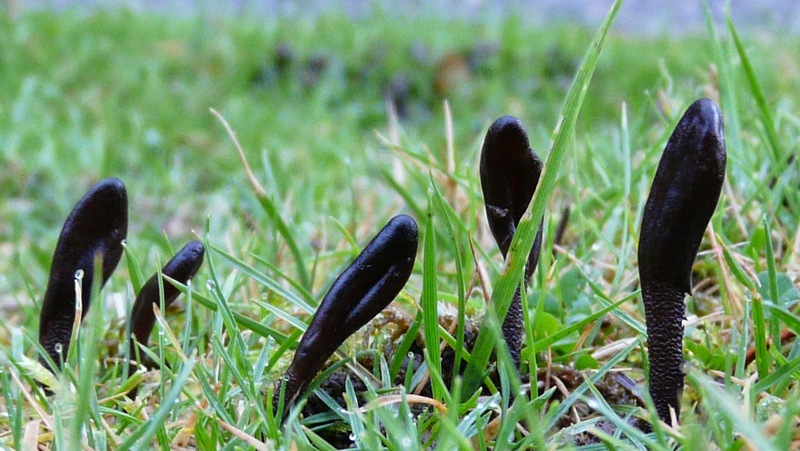 These are growing on grass so are a type of ‘earth tongue’ – although having said that, they might be growing out of a dead tree-root beneath the grass. Complicated stuff this natural history. Next to the black is a bright yellow one which I suspect is the ‘apricot club’.